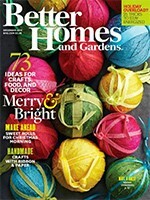 Browse all of our December magazines featuring holiday decorating how-to’s, recipes, gift ideas, and more for FREE with Zino, our digital magazine provider! Emagazines can be read on computers, tablets, or smart phones – all you need is an IPPL card and an email address. To get started, or to see a full list of the magazines available, visit the IPPL Zinio page. Once you download a magazine, it’s yours to keep! You can now access all of our digital magazines on iPads for in-library use. Ask at the Computer Help Desk. From Astronomy to Yoga Journal or Bloomberg Businessweek to Newsweek, you’ll find something fun or interesting in our collection, including interactive magazines like National Geographic. See the list and instructions for getting them on your own computer or device here. A gift for you! We now have even more e-magazines available through Zinio with your library card. Take a look at the magazines and see some instructions. Now, sit back and enjoy! Check-out back issues from the library’s collection of e-magazines. Click here for more information.